In this leaflet you get important information about the sights we would like to visit on our half day. 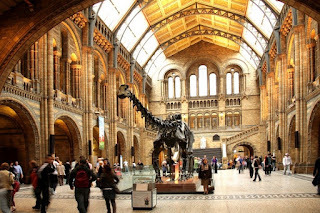 Our first stop will be the Natural History Museum; to get there we have to get off at the South Kensington Station. It opens at 10 am and closes at 17:50, so we can sleep a bit longer, the meeting-point will be 9:30 am and then we spend one hour in one of the biggest natural museums of the world. If you want to spend some more time in the museum, you can stay a bit longer. When you are not interested in natural history, you can go on to Harrod’s. It takes you 15minutes on foot or 6 minutes by line 14 bus, but no one has to go there if they don’t want to. 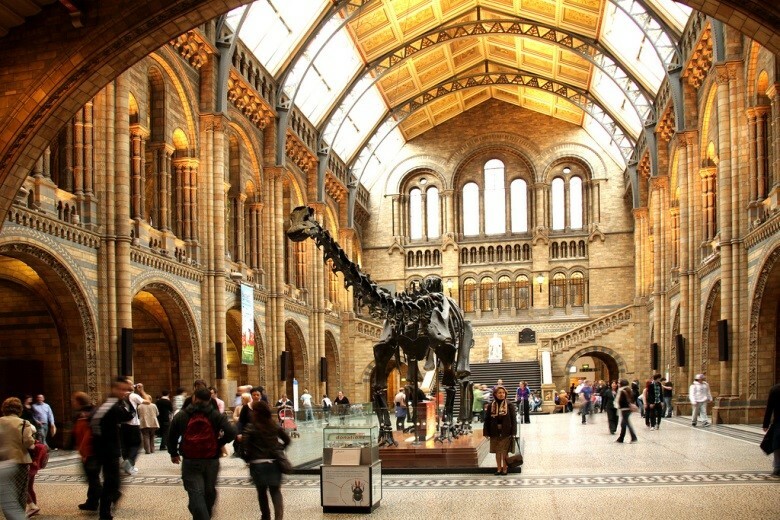 And now some facts about the Natural History Museum: It is located on Cromwell road in South Kensington. You don’t have to pay for the Entry and it’s over 136 years old. It opened on the 18th of April 1881. There is a dinosaur gallery, a big model of a blue whale, a meteorite collection, an earth gallery, a life gallery and much more. 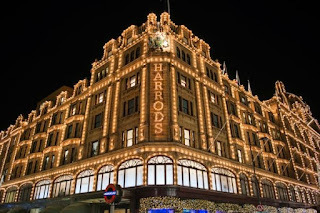 The next stop is Harrod’s, which is a luxury department store located on Brompton Road in Knightsbridge, London. It is one of the most famous department stores in the world. It has 330 departments covering 90000 square meters of retail space. There are lots of different departments and that’s the reason why there’s something for everyone. If fashion is not your cup of tea you can go into the games department, check out art in the gallery in the 2nd floor or try culinary delights in the food department.